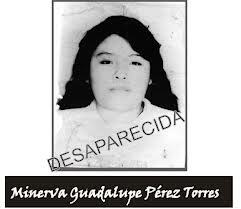 On 20 June, 17 years passed since the forced disappearance of Minerva Guadalupe Pérez Torres, a Ch’ol indigenous woman from the Tila municipality in northern Chiapas. On this occasion, the Fray Bartolome de Las Casas Center for Human Rights (CDHFBC) released a bulletin informing that “in light of the lack of justice in Mexico, Minerva’s relatives together with relatives of other victims of this region in 2004 presented a petition against the Mexican State before the IACHR (Inter-American Court on Human Rights).” The IACHR, in turn, released in March 2013 a report indicating that the Mexican State is presumed to be responsible for human-rights violations in this case, as in 7 others. This entry was posted on Tuesday, June 25th, 2013 at 10:00 am and is filed under Disappeared, Human Rights, Human Rights Defenders, Indigenous people, Justice system, Land and Territory, Land rights, Paramilitary. You can follow any responses to this entry through the RSS 2.0 feed. You can leave a response, or trackback from your own site.